Run Free Registry Repair Master on a regular basis to keep your computer clean and efficient by reducing application error messages, improving startup speed, and increasing computer performance. For maximum safety, Free Registry Repair Master includes Backup and Undo functionality for any change. Advanced users can select which parts of the registry to operate on. Free Registry Repair Master uses a high-performance detection algorithm to quickly identify missing and invalid references in your Windows registry, such as missing, broken or bad application or Windows shortcuts and links, obsolete Start Menu items, missing or corrupt application IDs, unused drivers. Even the newest of computers face the risk of errors or corruption – Free Registry Repair Master will prevent errors while keeping your PC stable and roaring at peak efficiency, without expensive hardware upgrades. Problems with the Windows registry are a common cause of Windows crashes, slow performance and error messages. 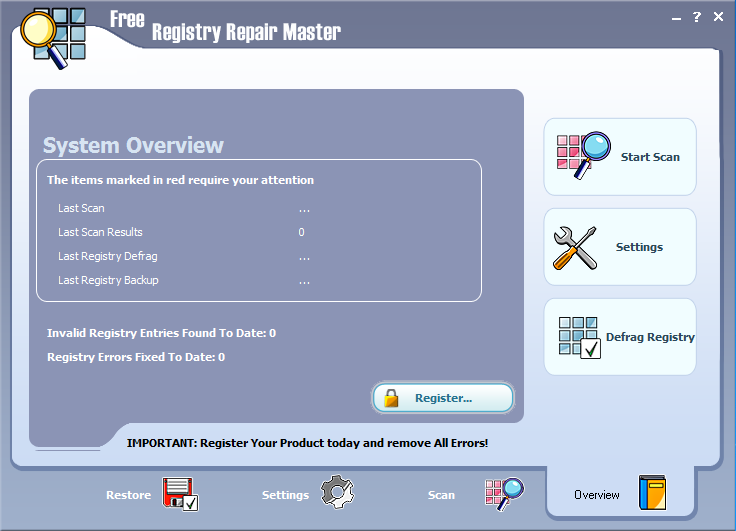 By using Free Registry Repair Master regularly and fixing registry errors to free your computer from registry errors and fragmented entries. Improve your computing experience by repairing all registry problems and preventing application seizures and crashes. 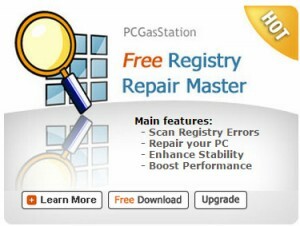 Using Free Registry Repair Master regularly keep your PC free from errors and from obsolete, unused or unwanted files. Tune up Windows to improve Internet performance, unleashes the power of your Windows. Prevent errors while keeping your PC stable. Note: If you want to use this application under Vista, please log in as “administrator” before starting this application. This trial version file is 1.35MB. Your download time depends on your equipment and Internet connection. Please be sure you have sufficient time and system resources BEFORE you begin downloading. Save the setup file into a temporary directory on your hard drive. 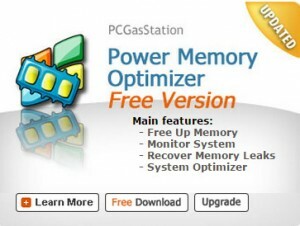 If you own another PCGasStation product, please make sure you install the trial into a folder other than the one where your existing PCGasStation product programs are.